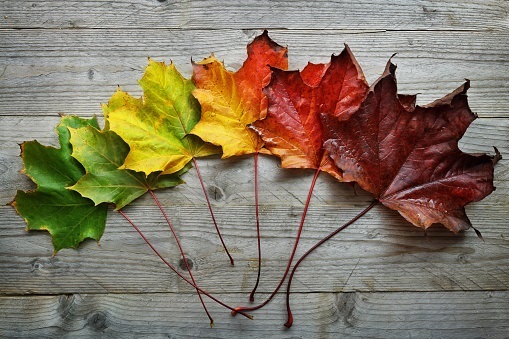 With the changing colors marking the onset of autumn, the Financial Accounting Standards Board has released its own set of proposed changes impacting numerous areas in their Accounting Standards Codification. Additionally, a final standard was issued incorporating the Securities and Exchange Commission’ staff’s views on the effective date for certain private companies, meeting the definition of ‘public business entities,’ for the upcoming leases and revenue recognition standards. On Sept. 20, the FASB released a proposed ASU on consolidation (ASC Topic 812). The driving force behind the proposal, according to FASB, was that constituents said “the consolidation guidance in Topic 810 as currently organized is difficult to understand and navigate.” The FASB is proposing to reorganize the consolidation guidance that currently resides in Topic 810, by moving certain sections to a new Topic 812, and moving other sections to other topics. The guidance pertaining to noncontrolling rights has also been revised, with respect to determining whether a legal entity is a Variable Interest Entity (VIE) or Voting Interest Entity. FASB states: “In separating VIE and voting interest entity guidance into different Subtopics, the Board revised the guidance to clarify how noncontrolling rights are considered. That determination is different from a variable interest holder determining whether there are participating rights that should overcome its consolidation conclusion. In that latter analysis, the variable interest holder applies a different definition of participating rights, which has different criteria and a higher hurdle to meet as a participating right. “The Board does not anticipate outcomes reached under the reorganized guidance to change from those reached historically under Topic 810,” says FASB. However, to the extent there are any changes required to conform to the reorganization and clarifications, FASB says, “the Board decided to provide transition guidance for instances in which outcomes change as a result of a better understanding of the guidance from the clarifications made in this proposed Update as opposed to for which obvious errors in application have been made.” The comment deadline on this proposal is Dec. 4. On Sept. 25, FASB released a proposed ASU on Leases (Topic 842), Land Easement Practical Expedient for Transition to Topic 842. In an accompanying news release, FASB Chair Russell Golden stated, “Since issuing our new Leases standard in 2016, the FASB has heard concerns from stakeholders about the application, cost, and complexity of the new leases guidance to land easements. We encourage stakeholders to review the proposed ASU and share their views on whether they think its provisions would address the issues raised.” The comment deadline is Oct. 25. On Sept. 27, FASB released a document containing two proposed ASUs, containing technical corrections to its guidance on financial instruments (Subtopic 825-10) and leases (Topic 842). This proposal is part of the FASB’s ongoing work providing technical corrections to the ASC. Charts summarizing the proposed changes in each of the above topics appear within the proposal. The comment deadline is Nov. 13. On Oct. 3, the FASB released a proposed ASU entitled Codification improvements. The Journal of Accountancy has published a brief summary of the proposed changes, impacting nine different areas. The comment deadline on the proposal is Dec. 4. On September 29, the FASB issued ASU 2017-13: Revenue Recognition (Topic 605), Revenue from Contracts with Customers (Topic 606), Leases (Topic 840), and Leases (Topic 842): Amendments to SEC Paragraphs Pursuant to the Staff Announcement at the July 20, 2017 EITF Meeting and Rescission of Prior SEC Staff Announcements and Observer Comments.